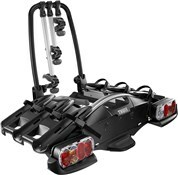 The ETC Arezzo Tow Bar Deluxe Arm Mount car rack is a sturdy and reliable way to transport your bikes to cycling adventures. 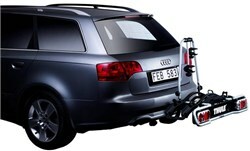 You can choose from the 2, 3 or 4 bike version depending on how many bikes you need to transport. 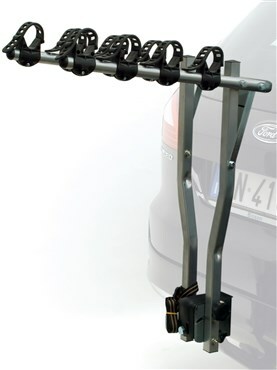 The bikes are held securely in place by strong straps which can be adjusted for the perfect fit. 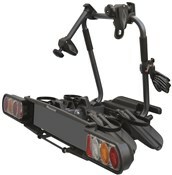 It's easy to mount and then take off again and it reclines to make it easy to get into your boot. 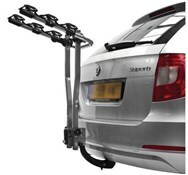 Of course, you'll need a tow bar on your car to be able to use this rack. 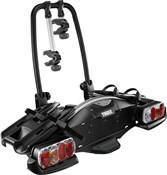 Excellent product , strong sturdy and great value for money . Will definatly recommend to others .